I love looking at pictures of other counselors’ decorated offices to see how they accommodate individual students, small groups, and work areas. Personally, I occupy an old closet for an office, so my counseling table gets used for EVERYTHING – from individual meetings, small groups, adult meetings, paperwork, playtime, and even storage at times (although I try really hard not to clutter it). Liked this video? Subscribe to my channel, The School Counselor Kind, so you don’t miss out on other videos by me! Bouncy Bands. When I first heard the name, I thought for sure they were for exercise. Well, I was sort of right. Bouncy Bands are made to let students release energy while they are working at their desks in a quiet, non-distracting way! 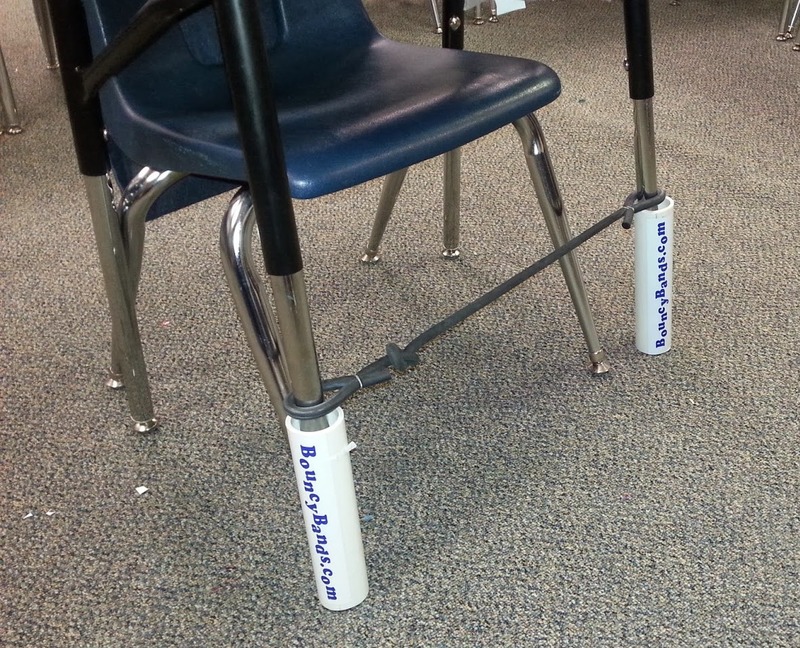 I was offered a free set to try out at my school, and for the last two weeks, a highly active fourth grader has had the set attached to his desk. Just for a little perspective, this student is scrappy, energetic, curious, and more often than not impulsive. Before Bouncy Bands, he would typically be found standing at his desk to do his work because sitting just wasn’t comfortable for his high energy needs. Basically, he was the perfect “guinea pig” for this kind of thing! Over the last two weeks, I’ve been checking in with him to see how the experiment has been going. His first reponse was to thank me for allowing him to try them – isn’t that so nice?? Other feedback from him has been that he likes using them to move his feet up and down, back and forth, while he sits at his desk (SITS, not stands!). He also told me that it’s really quiet and no one even notices when he’s bouncing away. When the fourth grade teacher requested to try the set for this student, I was a little skeptical because I thought for sure it would cause a distraction for the teacher or other students. I have received ZERO complaints from anyone, teacher included! I even sat at his desk last week to try it out for myself – I like how the rubber provides a comfortable and stretchy place to rest and wiggle your feet. They’re made with heavy-duty rubber bungee rope for maximum stretching ability. They’re noise-less (really, they are). They’re super easy to install – it takes a minute, tops. They’re not just for students with ADHD or severe sensory issues – any student who is willing to try them can benefit. 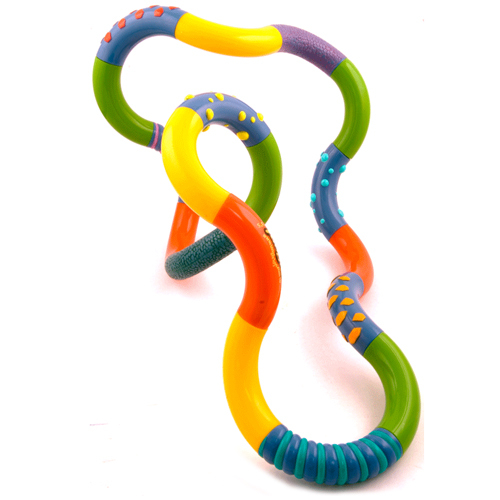 For more facts and information, including how to order your own set of Bouncy Bands, head on over to the website: http://www.bouncybands.com/index.html. Sand and games and putty, oh my! Here’s the deal. There are a lot of counseling tools out there. Most claim to be “very effective” in the therapeutic process. Okay, maybe they are. Most are also expensive, and a homemade version could probably serve just as well. But, there are some that are totally worth the cost. And that is what this post is all about! Working with elementary students has awarded me the opportunity to explore many counseling tools. I’ve learned about a variety of play therapy and art therapy tools and techniques to use with students. I don’t know about you, but the best indicator of whether I feel something is worth getting is the personal recommendation of another counselor who uses it. So, here are 7 of my favorites! My little sand tray is very popular with my students individually and in groups. It’s calming and grounding. They love just running their hands through the smooth sand or creating a scene using some of the miniature toys, like in the picture. 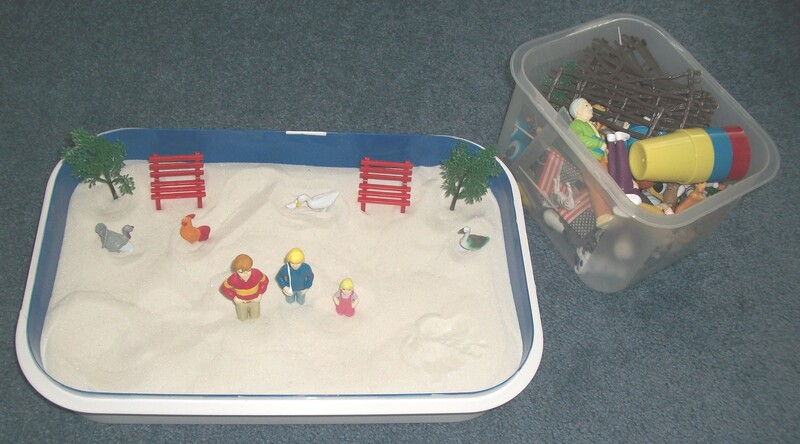 Many students use the sand tray to self-soothe or to express something (like a fear, dream, wish, etc.). There are trays you can purchase, but I picked up a cupcake tray and spray painted the inside blue for play purposes (it often represents sky or water). I need to invest in a deeper tray because the sand often gets spilled over the sides during excited or aggressive play. I ordered the sparkly, soft sand and most of my miniatures from http://www.childtherapytoys.com/store/index.html. The sand comes in different colors and is specifically made for play (non-toxic, safe for indoor use). Investing in a sand tray (sand, tray, toys) can be costly, but I definitely recommend it! Often used together, the play people and house get a lot of use in my room, by girls and boys. The wooden house I have is enclosed but can open up, which students love. One of the problems I’ve run into is that many of the hard plastic people I have are too big for the house, which can drive some students bonkers and takes away from their play. But, I invested in some ‘bendy’ people (pictured) which work better. 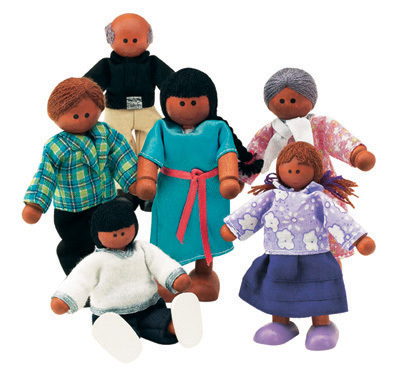 I ordered most of my play people from http://www.childtherapytoys.com/store/index.html. 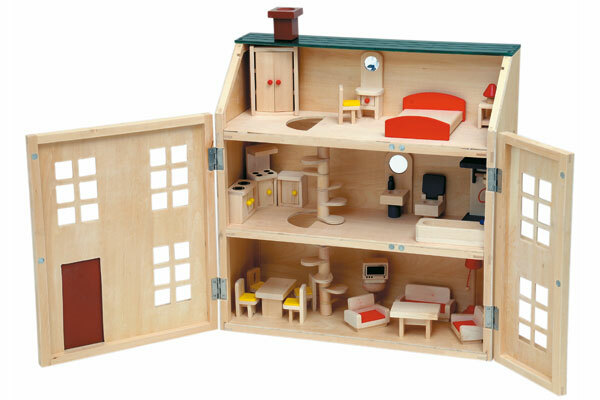 The uses for play people and the play house are endless – many family and peer themes or issues are processed through this kind of play. I have a lot of games on my shelves, but this is probably my favorite! There is something about the way the cards are written that draw out students’ thoughts and feelings. 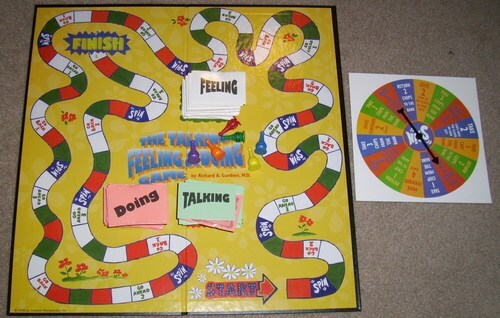 Each kind of card asks the players to use their imagination and relate hypothetical situations to their own lives, while strengthening social and emotional skills. 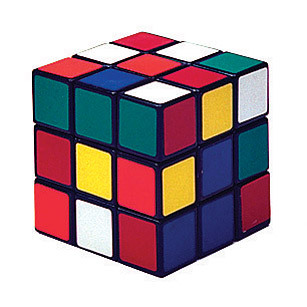 I use this individually and in small groups, with grades 2 and up. 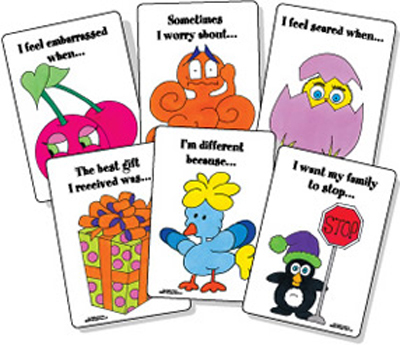 There are also different cards you can get for topics like anger, teasing, and divorce. Again, this game can be pricy, even on Amazon, but it’s worth it. I don’t know what I’d do without it on my shelf! I absolutely love the simplicity, but at the same time, depth of these cards. I use them ALL THE TIME. Individually, social groups, lunch buddies, in classrooms, etc. Students of all ages adore these cards because of the colorful and cute picture on each card. The sentence completion exercise that each card presents is why I love them (it gives me great insight at times). In groups or classrooms, I often have one student draw one, read it, and then choose someone else to answer – this makes the “game” more inclusive and helps them practice listening skills. There are two packs of these, and I got both from http://www.brightspotsgames.com/. They are pretty sturdy and easy to clean off, which I love! Similar to Jenga, this block game is interactive and fun! What I love about it is that there are so many questions to use with students. Once a student successfully picks out a block without knocking down the tower, they choose a card and answer the question that matches the color block they picked. 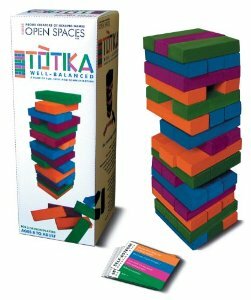 I know many counselors who have used regular Jenga blocks and written questions directly on the blocks, which is a cost-effective way to do this, but I like Totika because there are different packs of cards you can use with the same tower. I use the self-esteem deck with students in grade 3 and up. There are decks you can use with older students too. Students love this game and look forward to playing it over and over. I got it from www.creativetherapystore.com. I keep a basket with a variety of hands-on tools on my table at all times. Students are able to choose what they’d like to use while we talk. 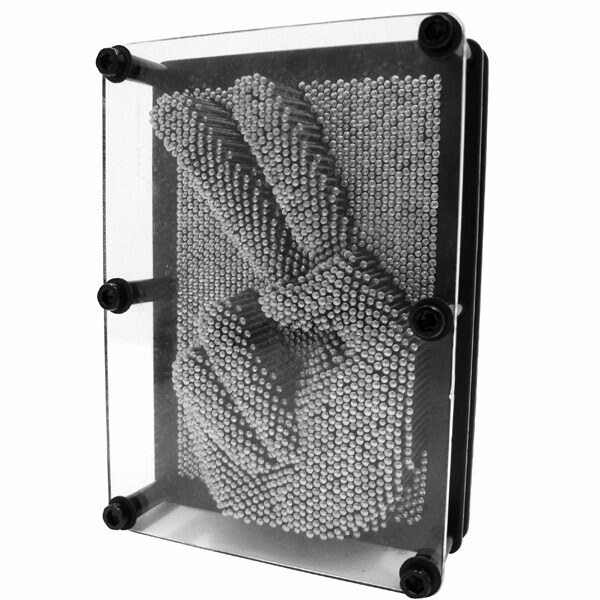 The metal pin-art and Rubik’s cube are very popular choices and I usually see a change in students once they use these items – both seem to be a quick self-esteem boost as they figure out how to successfully use them. 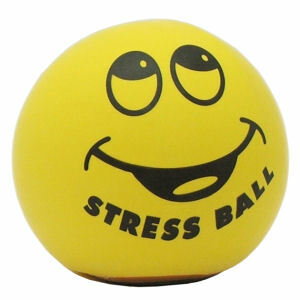 The therapy putty, tangle, and stress balls offer a quick sensory and stress relief for students in need. These items can be purchased from therapy magazines, Amazon, and many toy stores. Another simple and free art therapy technique. I use body outline worksheets for lots of reasons with my students. Most often, I use them with students who need to gain insight into how their body feels when they are angry, worried, sad, scared, etc. By identifying and coloring in the body parts that are most reactive to their emotions, students can begin to see how their feelings and body are connected. I use this activity as a first step to helping students find ways to self-soothe by using relaxation exercises, deep breathing, or positive self-talk to decrease negative bodily reactions. 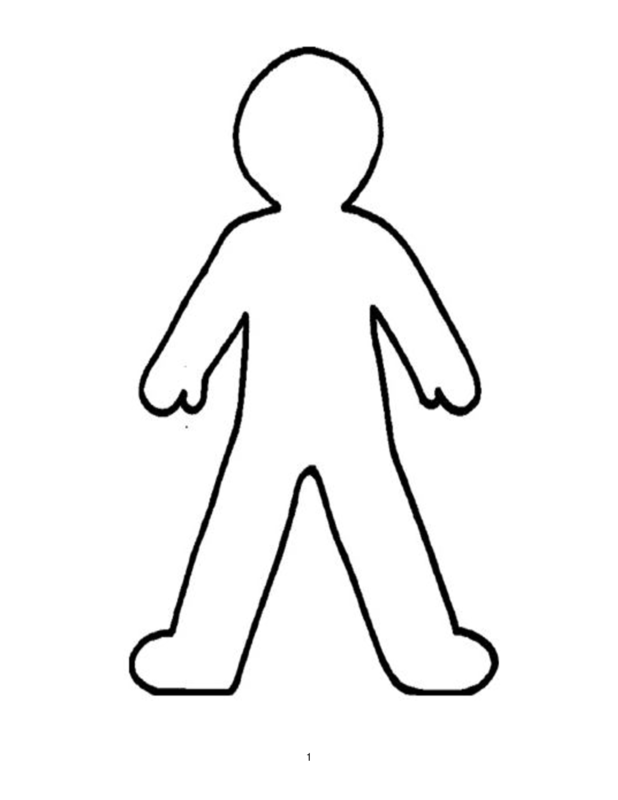 You can get your own body outline by searching Google images or drawing your own. There’s my list of top tools. Hope it’s been helpful!